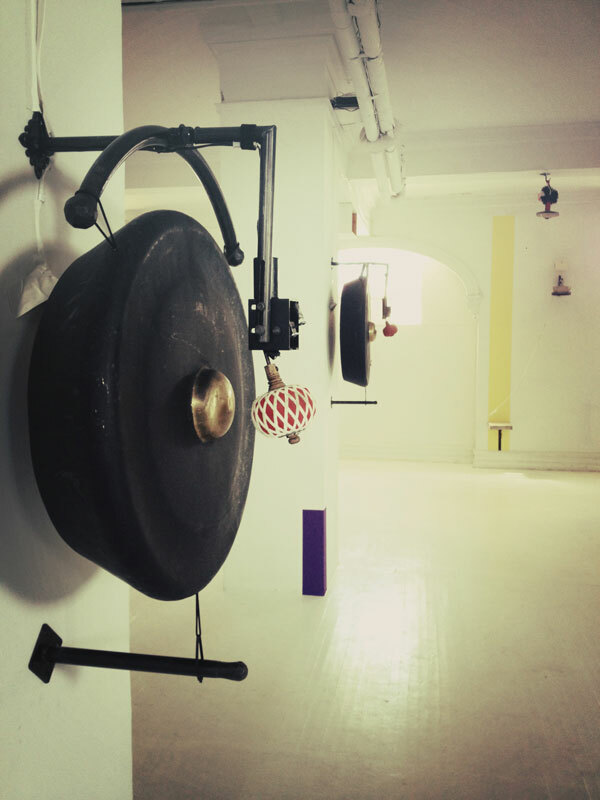 The Gamelatron Jalan Jiwo is a robotic network of vibraphones, drums, chimes, bells, and resonating bronze gongs site-specifically installed for the Clocktower Gallery. 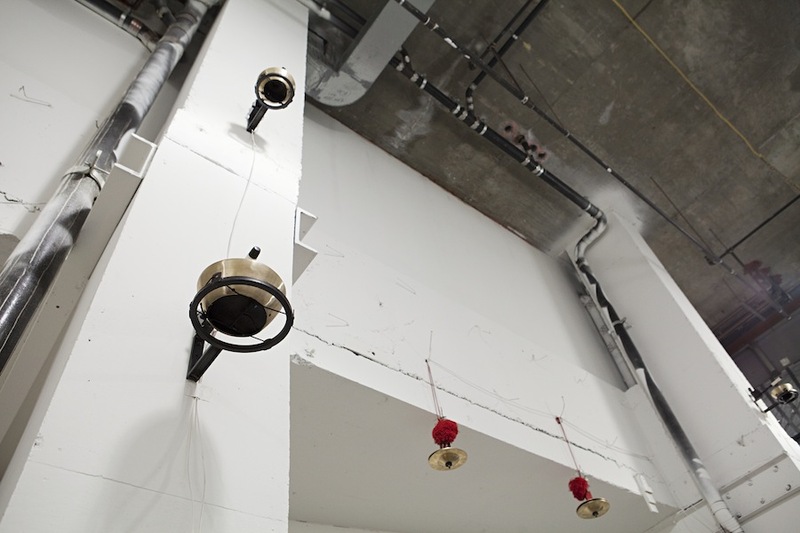 The installation completely envelops the viewer in the polyphonies developed by A Taylor Kuffner for his mechanized orchestra. Drawing inspiration from the Clocktower's own historic bell overhead, the piece functions both as a time-keeping device throughout the day, and as an interactive sound installation, triggered by any visitor to perform a variety of compositions, from short and dramatic bursts of activity and melody to longer form storytelling orchestrations that allow the audience to sink into the pristine gallery space and leave the music to take them over. 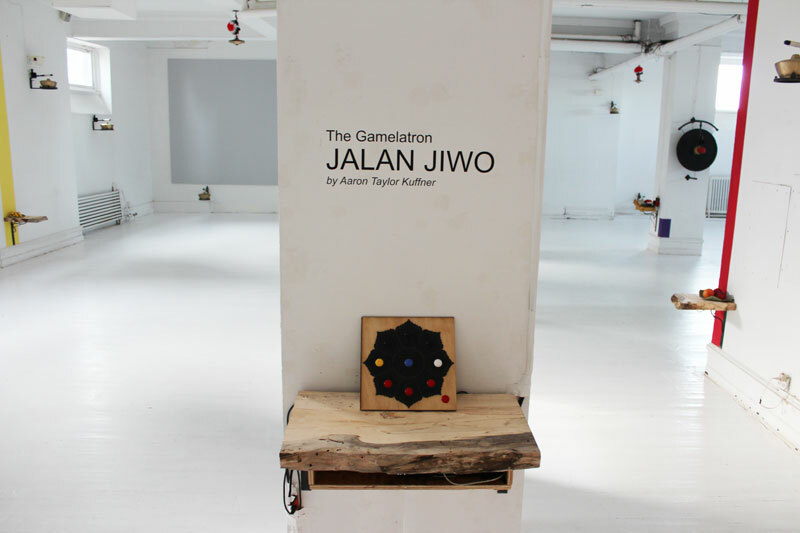 Opening reception and concert by A Taylor Kuffner and The Gamelatron Jalan Jiwo installed in the Clocktower main gallery. Tues., Sept 18 at 6pm, no admittance after 7pm. 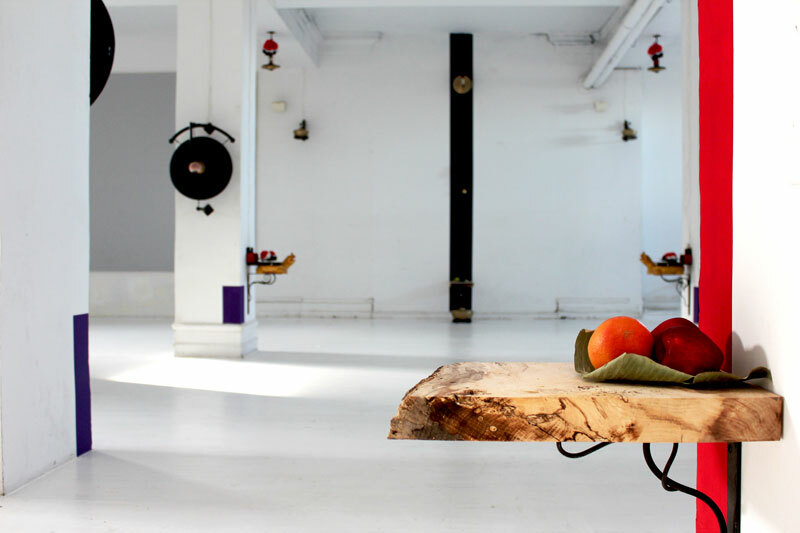 RSVP to events@artonair.org. Other project rooms and exhibits also on view including Shoplifter's Nervescape, Byron Westbrook's Interval/Habitat, and Casperelectronics' DroneScape. 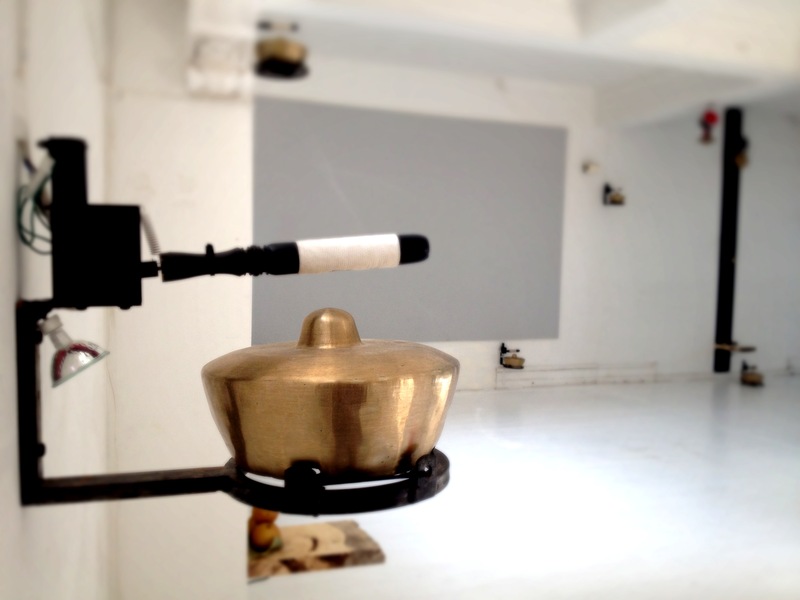 The Gamelatron Jalan Jiwo is a robotic network of vibraphones, drums, chimes, bells, and resonating bronze gongs specially installed for The Clocktower's main gallery, creating a space for the viewer to be completely enveloped in the polyphonies developed by A Taylor Kuffner for his mechanized orchestra. 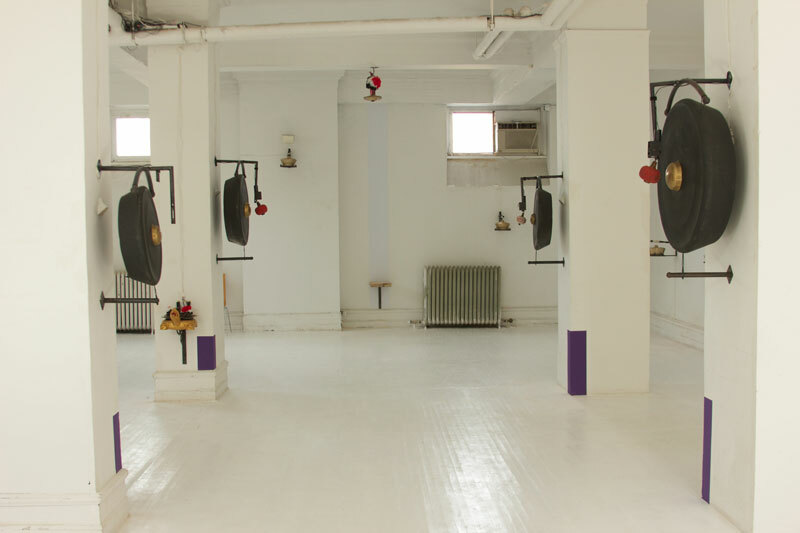 Drawing inspiration from the tower's own massive bell overhead, the piece functions both as a time-keeping device throughout the day, but can be triggered by any visitor to perform a variety of compositions, from short and dramatic bursts of activity and melody to longer form storytelling orchestrations that allow the audience to sink into the pristine gallery space and leave the music to take them over. 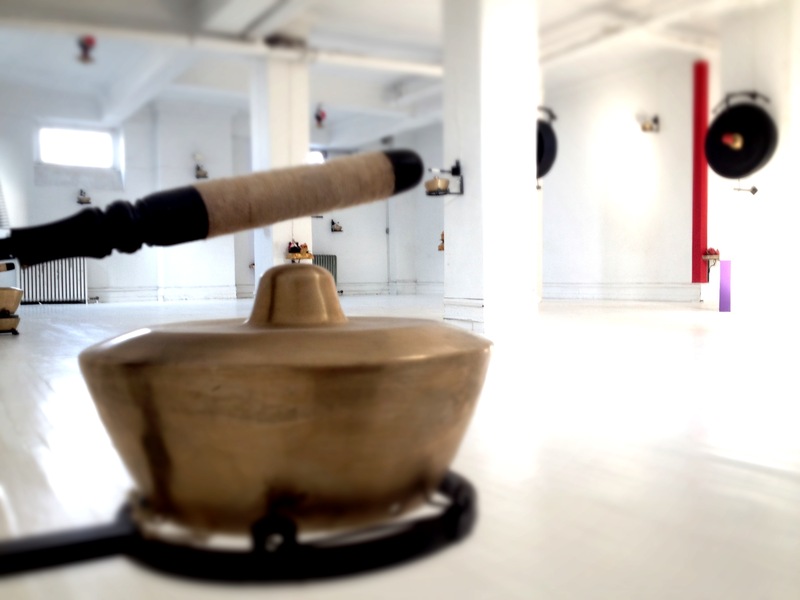 For more information about this exhibition, the artist, and Gamelan, click here. 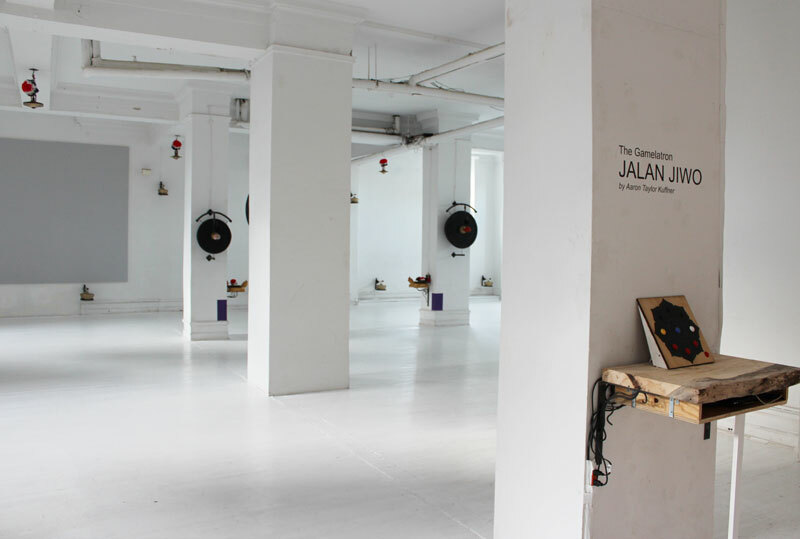 A recording of the sounds from the Gamelatron Jalan Jiwo, a robotic, self-playing Gamelan hybrid, composed by artist A Taylor Kuffner as a site-specific installation for the Clocktower. 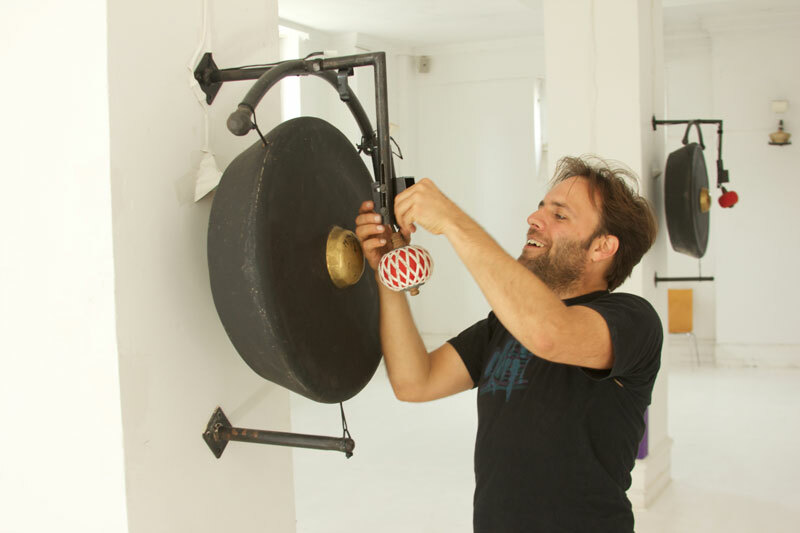 Erected in 2012, Kuffner's installation in the Clocktower's main gallery included some forty instruments manufactured in Bali, including vibraphones, drums, chimes, bells, and resonating bronze gongs, installed on the walls and columns of the space. 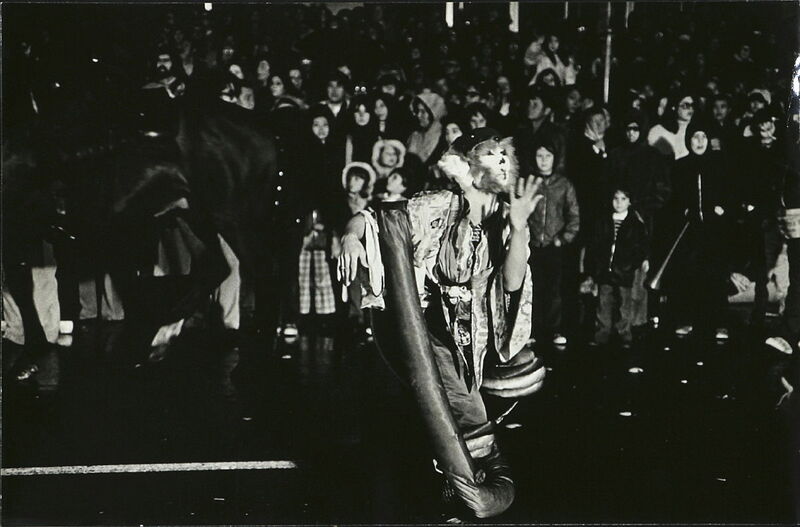 Visitors were invited to select from a menu of compositions ranging from contemplative to ritualistic orchestrations. When the pieces concluded, or when no visitors were present, the Gamelatron settled into a passive state, referred to as Clock Modeby Kuffner, which played day and night for months. At no time did the installation go totally silent. Clock Mode is a one hour cycle, extremely spare and mysteriously stimulating. The following recording is of that hour, formatted to run for 24 hours. 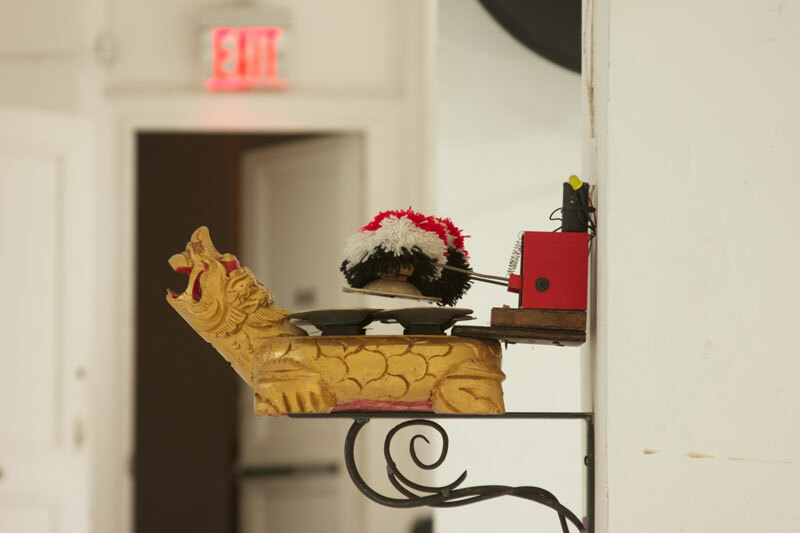 The Gamelatron Project by A. Taylor Kuffner, draws on the thousand-year-old sonic tradition of Indonesia, Gamelan, and the emerging field of robotics to create magical, viscerally-powerful, site-specific performances and temporary and permanent installations. 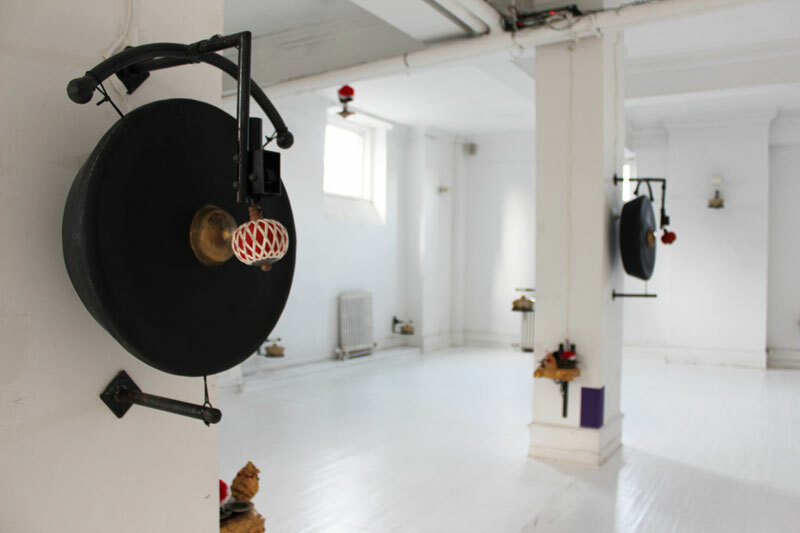 Kuffner's newest installation is The Gamelatron Bunga Kota (City Flower), a set of 30 Bronze gongs and 6 cymbals from Bali retrofitted with mechanical mallets mounted as an immersive experiential sound installation scaling the walls in full surround sound of a vacant retail space in the heart of Time Square. The Gamelatron Bunga Kota plays continuously night and day, performing as an "auditory" clock and triggered by the audience to robotically playback a selection 9 original compositions ranging from 3 to 19 minutes in length. To hear one of the "modes" created by Kuffner for his Gamelatron installation at the Clocktower Gallery in 2012 click HERE. The Gamelatron Bunga Kota (Flower of the City) June 6 - July 26, 2013 785 Eighth Ave., between 47th and 48th Streets Exhibition is open Wednesdays to Fridays, 2:00 to 8:00 pm Presented in partnership with Times Square Arts and Massey Knakal Realty Services. Follow an infinite chain to the big bang, the grandaddy beat, the mother of all syncopation, the rim shot, the quantum 4/4. Honor the move-your-feet yearning that calls to you. The golden braid is rhythm. 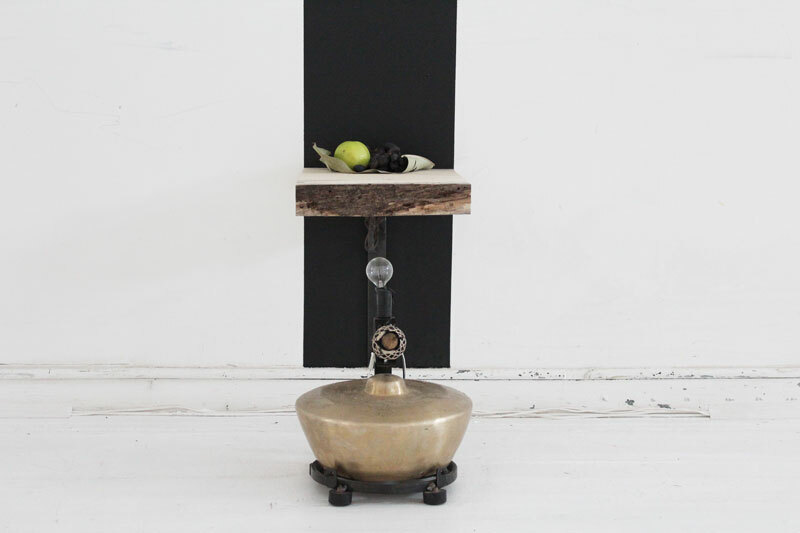 Gamelan, leopards, and drum-machines, oh my! Featuring: Charanga 76, Tom Ze, Balinese Gamelan, Tim Maia, John Carpenter, ESG, and a host of rhythmic delights.